I was born in Worcester, Massachusetts and grew up in nearby Framingham. 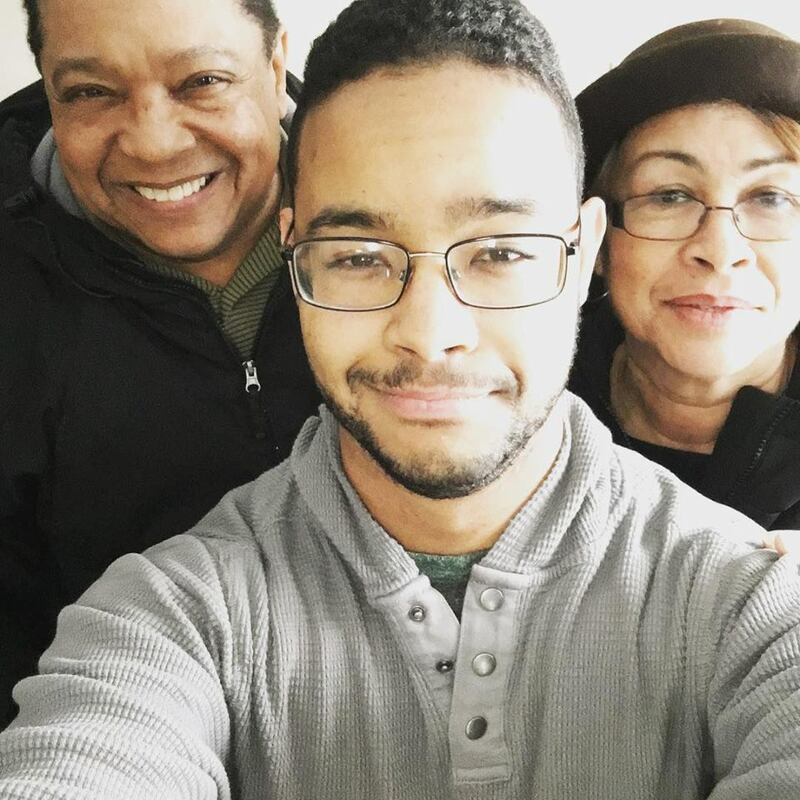 Both my parents are from the Dominican Republic and came to the U.S. in their 30â€™s. I was the first person in my family to be born and raised in the U.S. Iâ€™m a musician, a pianist to be more specific. 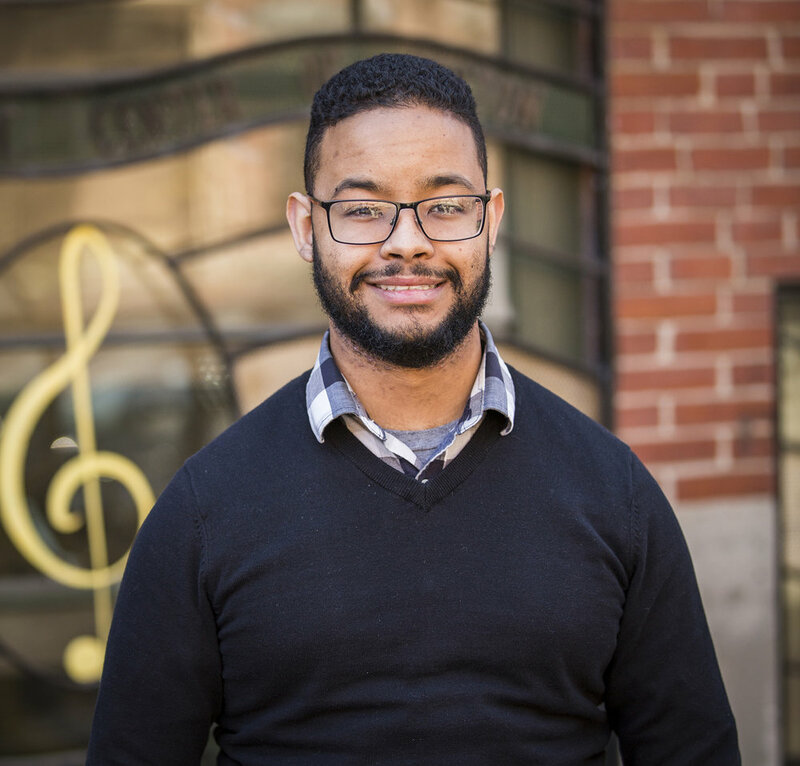 I currently work at the Community Music Center of Boston as an Arts administrator. As the registrar, Iâ€™m in charge of getting kids into the Center and handling their billing and financial aid. I do a lot of HR (human resources) work as well. Because Iâ€™m the only Spanish speaker, I work with Spanish-speaking families who might not have an English-speaking parent. I always make a point to give them some extra help to make sure they have the same opportunities everyone else has. I see my role as helping give kids the chance to work with music and express themselves and excel in that way. Youâ€™d mentioned in a past conversation that you did a lot of translating for your parents growing up. What did taking on that role teach you? I was lucky to have an older brother who also spoke English and helped guide me through what being American and Afro-Latino meant. Translating makes you grow up fast. Youâ€™re a part of conversations that many children arenâ€™t. You grow up with a different perspective, maybe not as innocent, but definitely more practically able. Now, I meet all these parents at my work and I understand their cultures, for the most part, and I also understand why they might be skeptical about our center. Because of my experiences growing up, Iâ€™m able to represent a trustworthy entity that they can connect with in their own language and thatâ€™s an advantage. Did you always know you wanted to go to college? I did. My parents went to college, but they didnâ€™t get their degrees in the U.S. They had no idea how the U.S. education system worked. Thankfully, I had a brother who served as an example and who gave me a crash course on what to do (and what not to do). Although I knew I wanted to go to college, how to go about it was a different story. I did a couple of semesters at community college because I didnâ€™t really understand the process of applying to college, and I also wasnâ€™t the most committed high school student. I did really well at community college and ended up transferring to University of Massachusetts, Lowell, a four-year school. I knew by my junior year of high school that I wanted to major in music, which in hindsight, must be terrifying for a parent, especially a parent who doesnâ€™t necessarily understand the application process. I know my mom was always worried about me falling in with a bad crowd if I decided to pursue music. Iâ€™m 26 and she still constantly reminds me to stick to my roots and not do anything stupid. Were your parents really involved in your college application process? My mother was huge on education and they were very supportive of my wanting to be a musician. It probably helped that I paired my Music performance major with a business double major. My parents definitely provided more moral support than practical support. I did most of the stuff myself. I know both of my parents are very smart people, but not knowing how the system works and not knowing the language are huge barriers. You had an older sibling who went to college before you, did his journey inform yours? Absolutely. He stumbled his way through it, a little bitâ€”and I say that with love. My parents didnâ€™t know the loan system and he definitely took some loans he probably shouldnâ€™t have. I saw how much he was struggling with his debt and I didnâ€™t want that so I spoke with guidance counselors and financial aid counselors to make sure I knew everything I needed to know about the loans I was taking out. I wanted to make sure Iâ€™d know how to handle them once I graduated. What would you say is the most important thing for first-gen students to keep in mind once they get to campus? Rather than assimilating, try to be more true to yourself. Iâ€™ve always struggled with assimilating versus being my DR/American/Afro-Latinx self and finding the balance that Iâ€™m comfortable with between all of those identities. One of the ways in which I did this was by not letting people put me in a box. I played classical piano which people always stereotype as a â€œWhite thingâ€� and people would always say â€œOh, Miguel youâ€™re basically White,â€� and while those things would irk me, at the same time I wouldnâ€™t let them get to me. The people saying that while they might care about me, have no idea what my reality looks like. Therefore, their opinion doesnâ€™t have as much weight. Iâ€™m not White and Iâ€™m still good at this. I speak how I speak because itâ€™s how I choose to speak, not because itâ€™s a â€œWhiteâ€� way to talk, whatever that means. Did community college help prepare you for your studies at UMass Lowell? Going to UMass Lowell after doing a couple of semesters at community college helped me understand how college worked. Lowell used the same online interface as my community college so I was familiar with the system and I also had a clearer sense of how to interact with professors. I think community college is a great option. In Massachusetts, if you get an Associateâ€™s degree from a community college all those credits are transferred to state schools. Looking back and taking into account the student debt Iâ€™ve accrued, I wish Iâ€™d stayed the full two years instead of just two semesters. Miguel's parents both immigrated from the Dominican Republic, he is the first in his family to be born and raised in the U.S. Does your work now connect directly to your degree? Absolutely. Before I was at the music center I had a studio of about 35 kids. Now Iâ€™ve winnowed it down to about 8 kids because I just donâ€™t have the time anymore. I still teach piano and some theory to students who are interested. Throughout most of my college career I always had at least a few students. I really enjoy teaching and working with students and cultivating that kind of mentorship. Did you have mentors along the way, and if so, what role did they play in shaping your career trajectory? Iâ€™ve had instructors along the way whoâ€™ve shaped the way I look at music and how I approach teaching it. My private instructor in college, Meg Ruby, is a fantastic concert pianist and certified yoga instructor and sound healer. She brought a self-help aspect to how I play the piano. She included a lot of meditation and sound yoga to our lessons which added an aspect of wellness to my playing. For someone like me whoâ€™s prone to injury because of over practicing, she was a perfect fit and helped me view music more holistically. Most helpful piece of advice youâ€™ve gotten? Thisâ€”learning, music, lifeâ€”is a process. It doesnâ€™t come all at once. Itâ€™s easy to forget that. You see all these prodigies touring the world at twenty years old and youâ€™re sitting over here in a college classroom struggling to get by. It takes time, the journey is part of the education. Looking ahead, what are your plans for the future? I love working at the music center; Iâ€™ve been there about a year now. Iâ€™m looking to stay here for a little while and learn. We just got a new executive director whoâ€™s bringing a really fresh air of social change and social justice and a reinvigoration of our mission. Iâ€™m looking to get a masterâ€™s in performance because eventually Iâ€™d like to teach at the collegiate level. I just want to be better and make sure that I leave this career having touched a few people and given them resources to be as good as they can be. Anything youâ€™d like to add? I'd like to mention how grateful I am to all the people around me whoâ€™ve been so supportive. The older I get, the more I see how things work, the more I see how fortunate I was despite struggling with the usual thingsâ€”poverty, being a person of color in America, being first-gen. There were always people there who caught me, which I know isnâ€™t the reality for a lot of people. Miguel playing with a quartet at an annual suicide prevention event held at Fenway park called "A Sip in the Park"
A book recommendation? The Brief Wondrous Life of Oscar Wao by Junot Diazâ€”itâ€™s so pertinent to being a Dominican; broke my heart in a million ways, but great book. Career role model? One of my old bosses, Deb Huber, she is the director of instrumental music outreach at UMass Lowell. She is passionate about things and makes them happen. How do you stay motivated? This might be cheesy, but I love the kids I work with. I make sure I do whatever I need to do because if I donâ€™t, a kid will be at a disadvantage. What does success mean to you? Success means being stable and happy. It used to mean being known as â€œthe guyâ€�, the person who gets stuff done. Now Iâ€™m at the point where if Iâ€™m able to do what I want to do and am happy with my role and effect on other people, Iâ€™m happy. What is your favorite piece to play on the piano? Chopin Polonaise Opus 26 No. 1, itâ€™s beautiful, it makes you feel powerful. When I could play that effortlessly, it made me feel good. Thanks for sharing, Miguel and for being such a powerful example and conscientious educator. We're wishing you the best of luck! Miguel after a show with the UML Marching Band.